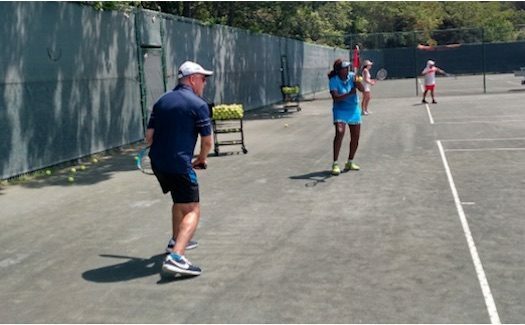 Whether you’re looking to improve technique, get a killer workout or practice your doubles play, Hampton Racquet has an Adult Clinic specially designed just for you. Be sure to check out our Special Clinic Packages. Save money while you improve your game. Cardio Tennis is a full body aerobic and calorie burning workout. Our high energy fitness program combines movement with cardiovascular exercise. It’s fun and great for all levels of play. It doubles as a conditioning and training exercise rolled into one. 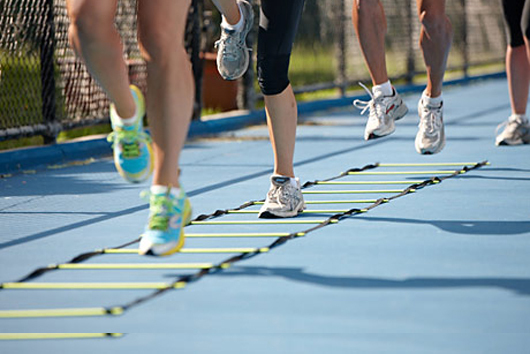 Our program also includes an agility ladder, Cardio Balls and Heart Rate Monitors. Most classes are geared for a range of fitness levels. Play to the beat of the music…requests are welcomed. Our Men’s Doubles Clinics are specially designed to improve on-court positioning, ball placement and doubles strategy. 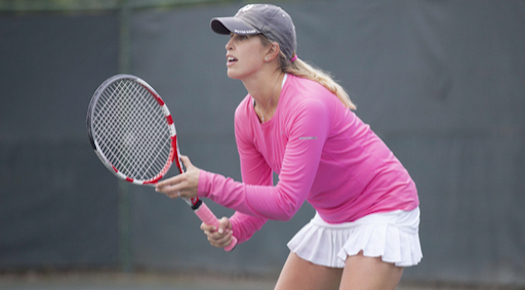 Develop a tactical approach to aggressive percentage doubles play. Clinic includes live ball drills and game play. Bring a friend and share the thrills. If you have your strokes working for you and want to have them work even better, our Morning Clinics will help you improve strategy and shot selection as well as sharpen your mental attitude and toughness. Morning Clinics are designed for players of all levels who wish to hone their competitive edge and to also meet others who love the sport as much as you. Free 5 pack for Members. If you have your strokes working for you and want to have them work even better, our Saturday Morning Fall Clinics will help you improve strategy and shot selection as well as sharpen your mental attitude and toughness. These Fall Clinics are designed for players of intermediate and advanced levels who wish to hone their competitive edge and to also meet others who love the sport as much as you.